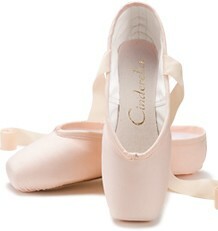 I have always wanted to watch a dancer on pointe wearing some of these exotic European pointe shoe brands. Sometimes, it isn’t enough to just see them in a photo listed for sale on the maker’s website. 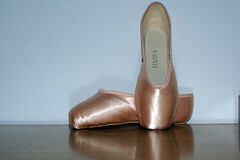 Rumpf, a German dance supply company, has two models listed on their website. These are the only two they have carried in their inventory for many years. One shoe is called Maria and the other, Anna. 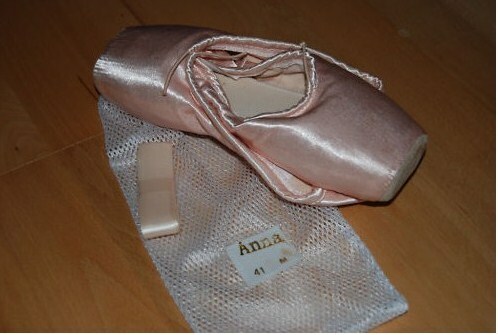 The Anna model has appeared (to me) as a very flat-looking low profile pointe shoe on the website. I was happy to come across these photos of the Rumpf Anna to get a better idea of the profile shape. The Rumpf Anna still appears to be a low profile shoe. Here I can see the suede toe covering a little better. It also looks like the Anna has an elastic drawstring in this photo. From the pictures, it looks like the Anna is a pretty sturdy shoe made with wing blocks and suede tips. I do love this shade of pink satin. The Maria, surprisingly, is a different shade. 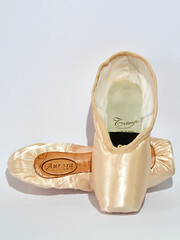 The Rumpf website, like many European pointe shoe companies, doesn’t go into great detail about the shoe’s design features. 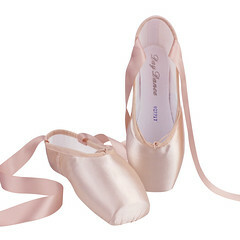 The Anna is described as a “medium” pointe shoe. 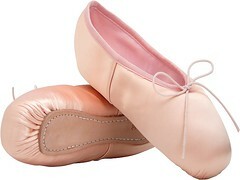 Rumpf has a huge inventory of other types of dance shoes as well. The good thing about the Anna and the Maria models is that they seem to be sticking around for a while. 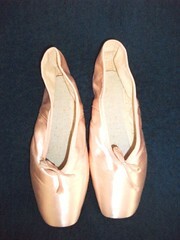 This entry was posted in German Brands and tagged German pointe shoe brands, german pointe shoes, Rumpf Anna, Rumpf Anna pointe shoes, Rumpf pointe shoes. Bookmark the permalink. 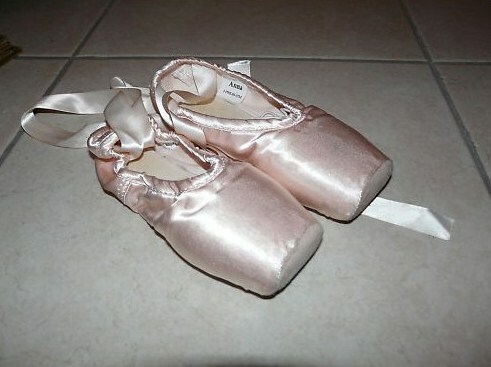 a very peculiar, yet still graceful pointe shoe. 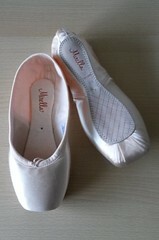 Those are pretty popular shoes among beginning ballet dancers here in Germany. Unfortunately-as they are poorly made and really, really square so that most people do not have the right toe configuration for them. And-they are cheap, this is was attracts the buyers.. It is always interesting to hear from those who have actually worn the shoes. Thank you for commenting.